Following on from the success of the Amphibian Conservation Research Symposium (ACRS) in Manchester in 2012, and the Joint Meeting of the British Herpetological Symposium (BHS) and ACRS at the Natural History Museum in London in 2013, we are pleased to announce the next ACRS will be hosted by the Zoological Society of London on the 10th and 11th of May 2014. The overall theme of the symposium is evidence-based amphibian conservation, with an emphasis on applied in situ and ex situ research. The aim of this symposium is to share the research findings of universities, zoos, veterinarians and individuals, and provide a forum for discussion, networking and collaboration. Directions to ZSL can be found here and a map to the meeting rooms can be found here. There will be a symposium dinner in the Garden Area at the Edinboro Castle on the Saturday evening (spaces are limited). Please see below for menu options and remember to make your selection when you register (N.B. prices vary). If attending the symposium dinner, please don't forget to include the cost of the meal if already selected from the menu above. We will have some space reserved at the Edinboro Castle on Friday 9th May for those that arrive in London the night before the talks start. Our post-symposium tours of the ZSL Amphibian and Reptile House are now full, but you can still see ZSL’s fantastic collection of herps and other creatures during the break sessions. Post-symposium, there are still spaces to go and seek out amphibians in adjacent Regent’s Park with Froglife. There will also be a contingent heading back to the Edinboro Castle for some more liquid refreshment. This price includes ample tea and coffee, and a sandwich lunch, in addition to free access to ZSL London Zoo during symposium breaks. Student bursaries may be available to cover registrations costs. Please email amphibiansymposium@gmail.com for more information. To register please complete the online Registration Form below, or download the word document and send to amphibiansymposium@gmail.com. Our talk slots are now filled, but we strongly encourage you to submit an abstract for a poster. Please complete the online abstract submission form below. 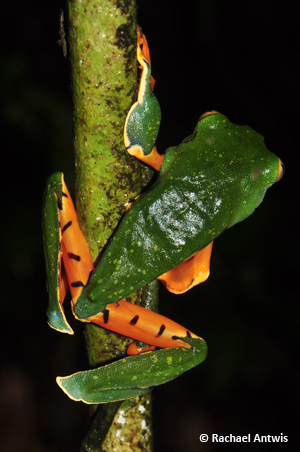 Posters should relate to the broad theme of amphibian conservation research. If you do not have a Paypal account follow this link to set one up, alternatively we will accept a cheque or bank transfer. Please email us for bank details or postal address for cheques.